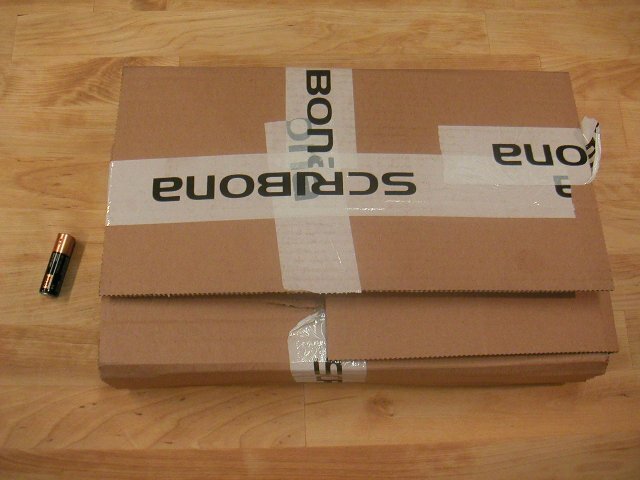 This has to be among the worst package designs ever! Shame on you 3Com. Really. Package arrives at work. Huge package! For me? I'm pretty excited - what can it be...? Way too light to be a laptop or any major hardware. 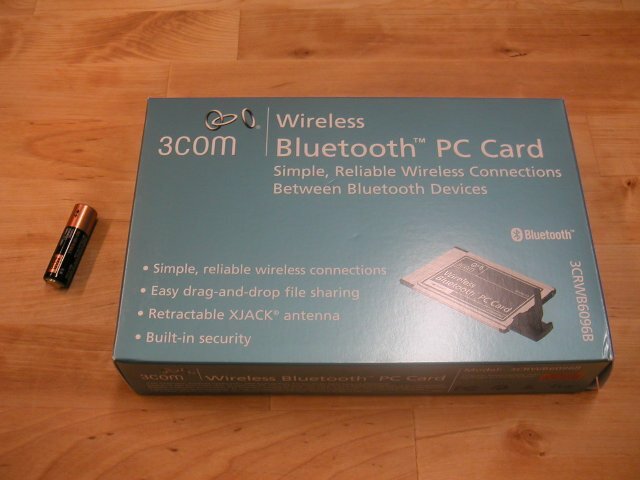 Ah... finally, my new bluetooth card! Shiny, good-looking box. I like the xjack - you can keep the card inside the pc at all times without breaking the antenna. The antenna folds away inside the card. What? A whole lot of air in this XXL box that has travelled from Mexico to Sweden! Again, from Mexico to Sweden. Using air fuel. Note the "cleaver" holder for the card... oh man. 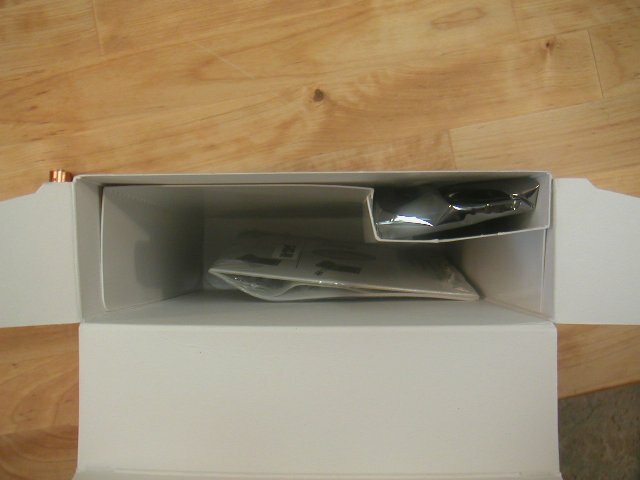 I don't mind companies making pretty boxes that look good on the shelves, but this is just ridiculous. Let me guess, 3Com only has one box size, made for their largest network card...? This matryoshka contained a CD and a PC Card, in a box that could contain 30 CDs and 10 PC cards! Easily. 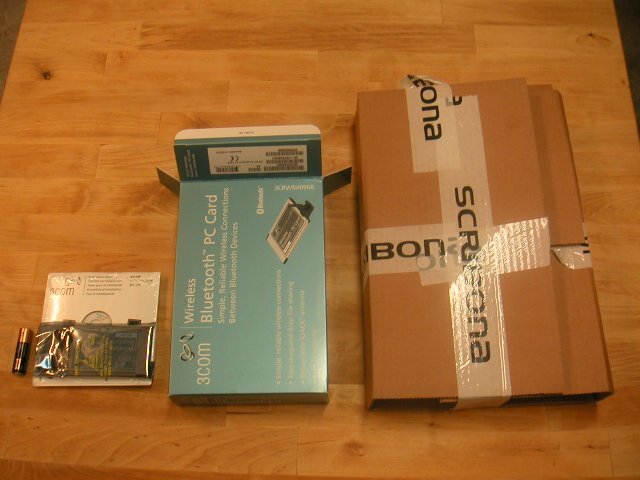 Please make the box fit the PC card, at least a litte! People who pay a bit extra for 3Com cards hope to get good (technical) value - not expensive transportation around the world and pointless waste of resources. The PC Card is 54 x 85.6 x 3 mm. The box is 152 x 228 x 47 mm. That's 117 times larger. One hundred seventeen. Content updated 10 March 2019. <URL: http://boralv.se/blog/?id=1094659855>. This server is able to calculate 31.9 pages like this per second. No computers were harmed in the making of this page. CSS Validator, HTML Validator.